Our hands were messed up with bright, colorful hues. Given only ten minutes to design our umbrellas, I was still undecided on what to paint. The clock ticked away, but I’m obsessive like that; always wanting things to be perfect, always wanting to do things the right way. The clock ticked some more. And finally, colors popped into my head and swirls imprinted itself on my mind. I have my design, but I don’t think I have the time to finish it. 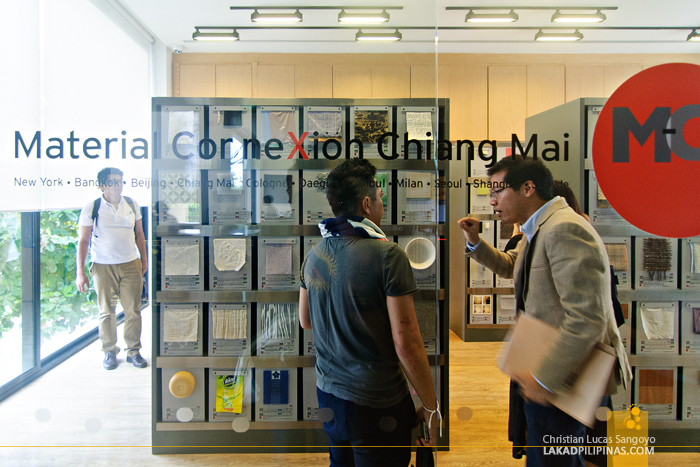 We were at the Thailand Creative & Design Centre, inspecting the first regional design center after Bangkok. 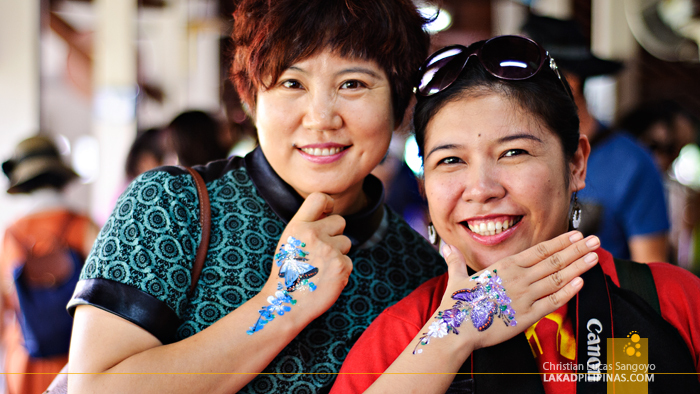 Like a spark plug, the center was put up to ignite passion for creative thinking in Chiang Mai. 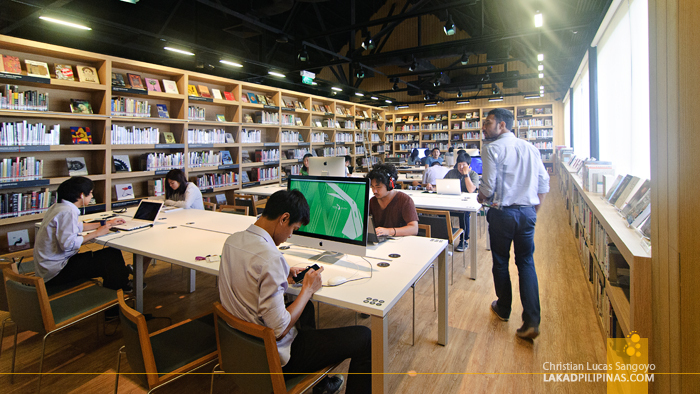 It was quite impressive, with modern libraries filled with nothing but books, DVD’s (I saw a lot of classic anime) and all sorts of media about art. Heck, they even have one room dedicated to nothing but materials and surface samples extensively used by international designers. Seeing everything really made me envious with the initiative, I can only wish we have something like this back home. Our libraries and centers are so archaic. 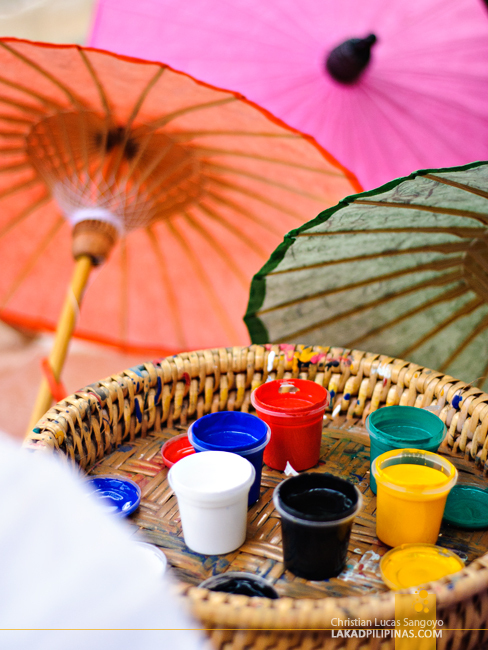 After a quick tour, we were led downstairs to their garden where cans of paint, brushes of different sizes and colorful paper umbrellas awaited us. It was time to put some of the things we were shown to use. But really, on paper umbrellas? 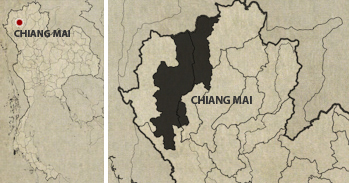 Chiang Mai and paper umbrellas have a lot of history together. 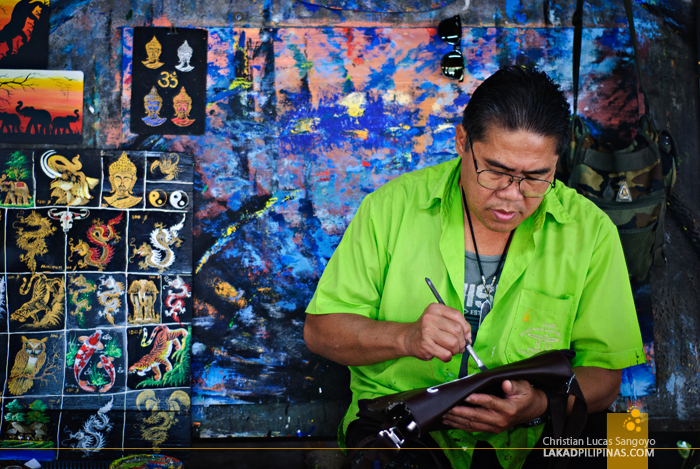 Considered as one of the top cottage industry center in the world, Chiang Mai has been producing this craft for the last two centuries. 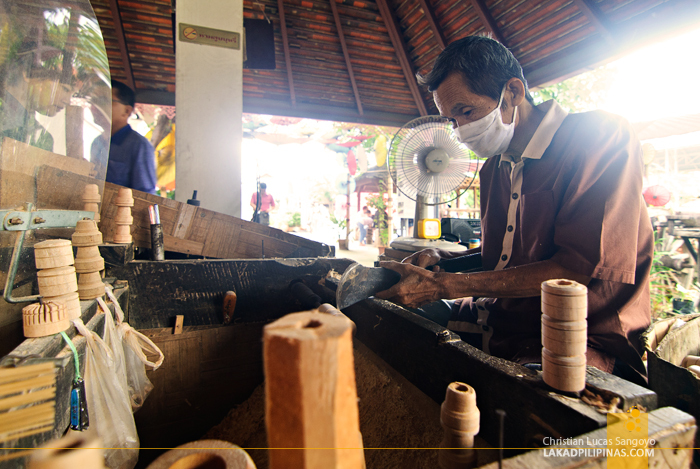 Bo Sang village in San Kamphaeng district particularly, has mastered the art of making these. 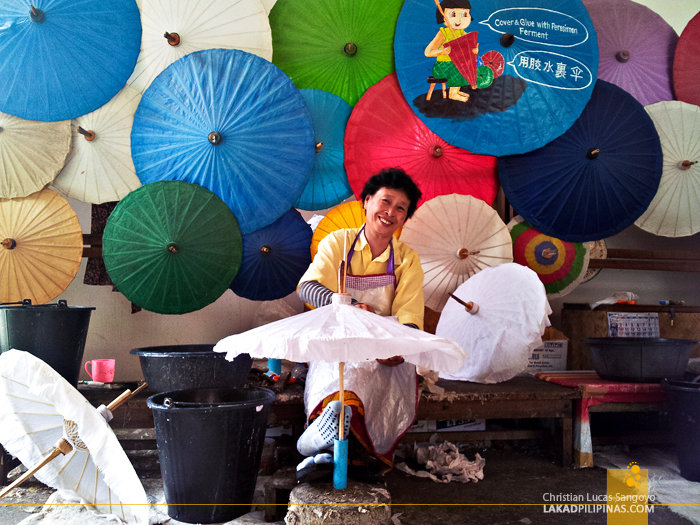 We visited one such center, the ubiquitously named Umbrella Making Centre in Sankambheng the next day. 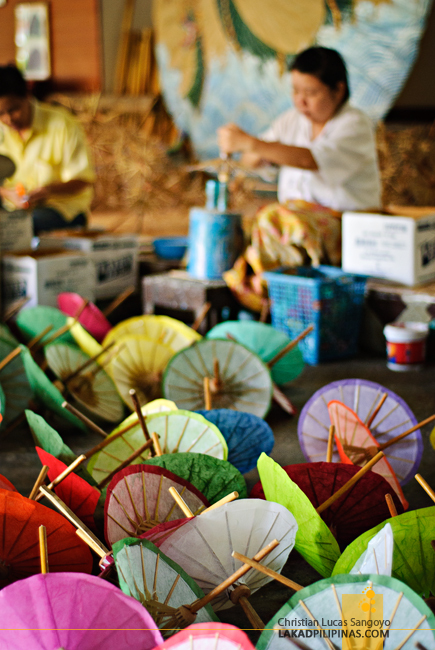 Here we saw first-hand how paper umbrellas are made from scratch. 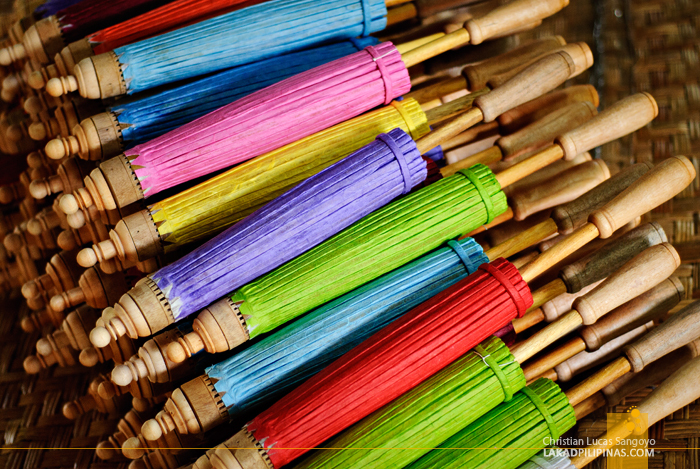 While I initially heard that every part of the umbrella is made from bamboo, I was shown differently. The lower and upper heads, including its sleeves, are made from softwood. The stems are from palm leaves, and only the ribs and struts are made from bamboo. The covering is made of Sa paper which is from mulberry tree barks, and with the use of persimmon fruit secretions and paste, the umbrellas are finished for waterproofing. 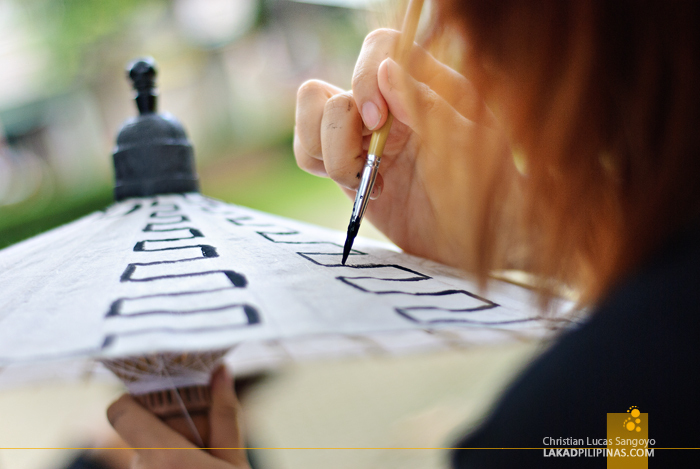 After everything has been assembled, it was then time to paint it with numerous designs, the most common of which are floral ones. I later learned that this was not how it was before though. Back then, the umbrellas are plain and unpainted. 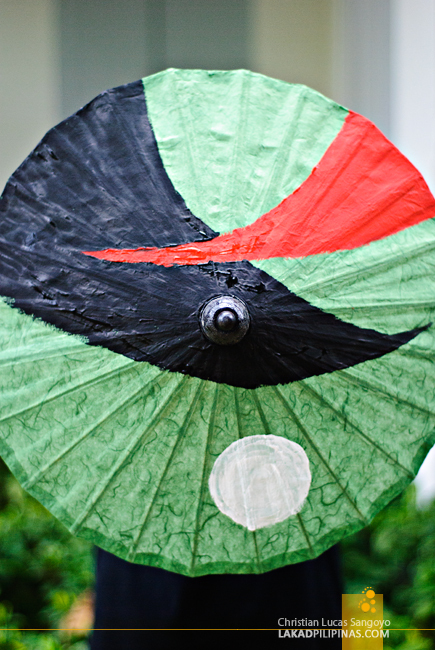 It was only at the last two decades that designs started to appear on paper umbrellas. 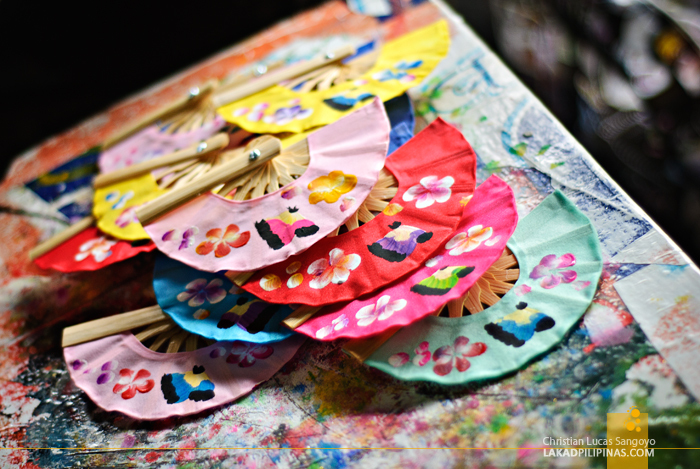 Besides the artwork done on the umbrellas, the guys at the Umbrella Making Centre also paint artworks onto anything you want them to. From canvasses, to bags, shirts, cellphones, jeans, shirts and even your hands; they would paint it up with gusto right there and then. A few from our group even tried to have their hands painted. Amazingly, even with such intricate designs, it only took two to three minutes to finish it up. Yes, we even timed them! It was amazing seeing them work, and to think that they have no formal training in the arts. Back at the Thailand Creative & Design Centre, the final minutes were ticking and I was painting like there was no tomorrow. I have some background in the arts, but I have never painted in my life at all save for a few watercolor smudges during art class. With the last few seconds tick-tocking down, I did the final touches on my design and breathed some on my umbrella to quickly dry the paint. I laid my brush down and surveyed my work. It wasn’t as grand or as beautiful as what I had in mind, but it would do. And the prize? Nothing. But we do get to bring the umbrellas home with us. Lol, were just competitive like that. Nako mukhang hindi pwede sa atin yan pag-rainy season... Pang-Summer pwede.